// No idea why a new service is created, there is no reference to this executable? // Translation: "******** Program started ********"
// Translation: "The program restarts at% time%, check the system log"
// Translation: "******** Program completed ********"
// Translation: "% time% The program is running normally, and it will be checked after 10 seconds." 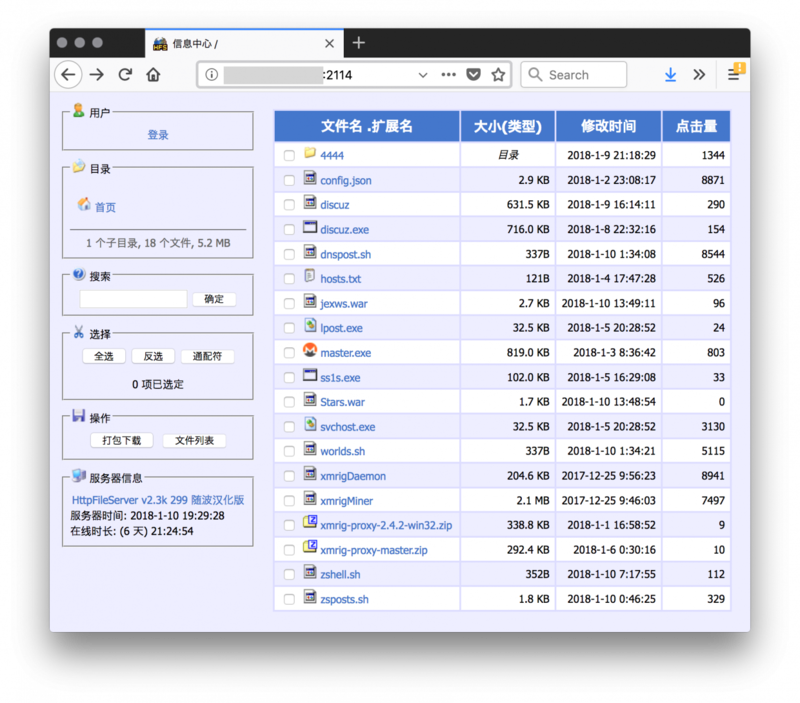 The file referenced in the script (‘drivers.exe’) is not available anymore (HTTP 404 returned) but the server is running an HttpFileServer instance which is very popular in China (I found plenty of them on Chinese servers). "log-file": null,                           // log all output to a file, example: "c:/some/path/xmrig.log"
"max-cpu-usage": 100,                        // maximum CPU usage for automatic mode, usually limiting factor is CPU cache not this option.